Apple Music share is a feature on the apple music player that allows you to share music with friends and family.The process is really simple with just a few taps. However, there is an apple music subscription plan that allows share for up to six user charged under a single payment. So you can either apple music share playlist, song or subscribe to apple music family plan. 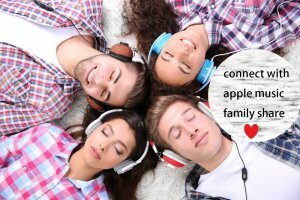 The apple music family share is a feature under the apple music family plans that allows user to include friends and family by setting the apple family sharing feature. So, you need to set up Family Sharing and then invite friends to your family group. You have to be subscribed to a Family Plan. Friend and family on your group must be out of subscription. Individual plan does not include more than one user. Then Tap View Apple ID and enter your Apple ID password. Tap Family and then confirm that choice to save it. Apple music player installed on android phone are not exclude from having access to all features. Follow the steps below to share music to android users. Tap the Apple Music app. touch three-line icon to view menu. Tap the photo icon to go to settings. Enter apple music login if prompted. Go to Family Setup (if you’ve already set up your Family and just need to add someone to Apple Music, tap Family in this step). You can add members to your family sharing by email or by apple ID. First open apple Music app. Go to the song or album you wish to share. In the menu that pops up, tap Share Song (or Share Album). Tap the way you want to share the music. Your options include things like AirDrop, Messages, Email, or social media apps. 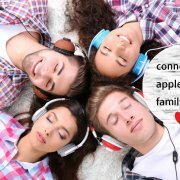 Everyon in the cycle must Apple Music subscribers to be part of your apple music family share. With the standard 90-day free trial to listen to the song. Apple music is simple one of the reasons why you should buy an iphone.